Miss Soft Crab: Who am I kidding? God, K's right! You can hitch all your dreams to the wardrobe audit wagon but in truth a wardrobe cleanse comes with as many negative emotions as positive ones. Yes you may feel lighter and better but at the same time you feel full of doubt. Will that dress never be right for you? How can you see all the way into the future like that? Will your daughter buy something just like it in 20 years time and kvetch when they find out you used to have this one? I have gotten rid of clothes that never seemed quite right after long term agonising and years later still wonder if it was the right decision. Conversely have a dress in my wardrobe I bought 13 years ago and never wear but it's so flattering I think I should keep it. Who knows how to cleanse a wardrobe successfully? Who knows if it will even help? But as I write this and reflect I'm interested to discover I've never regretted getting rid of a pair of shoes. I don't question shoe dismissals at all. But shoes really are a different ball game. And hard to get rid of. Because sometimes a pair of shoes is only good for one outfit, but without those shoes that outfit may be nothing. But wait, am I thinking about this too much? 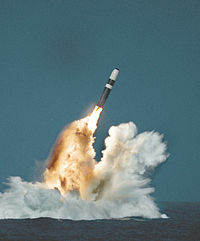 Should I be more worried about ballistic missiles? But in fact ,so many great clothes gone ,your children would have loved. Why is flannel so magic? !